Hardik Pandya, who started playing for India last year, has raised expectations just like his senior Baroda teammate Irfan Pathan did nearly 14 years ago. New Delhi: A talented cricketer can only realise his full potential when he has the full backing of the team management and that's why Irfan Pathan has lauded India captain Virat Kohli for believing in Hardik Pandya's all-round abilities. Pandya, who started playing for India last year, has raised expectations just like his senior Baroda teammate Pathan did nearly 14 years ago, when he made his debut against Australia in December 2003. "It is great to see players being backed. Sometimes, you always wonder, players, who were not backed enough and could have otherwise had a longer career," 32-year-old Pathan told PTI during an interaction. "For any player's rise, not just Hardik's, the backing of captain plays a huge role. Kedar (Jadhav) for example was doing fantastically well in domestic cricket for so many years but he got the backing only under Virat," said Pathan, who last played for India in 2012. "Virat is backing all the youngsters, not only one or two. If you have the backing of captain and team management, the player will perform eventually. 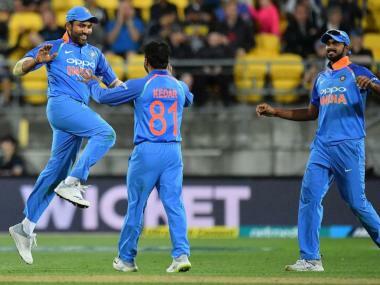 Rohit (Sharma) got the backing of Mahi bhai (Dhoni) consistently and now look at him, he is now one of the best batsmen in the world," he said. Some of the experts including chairman of selectors MSK Prasad feel that Pandya has the potential to become the next Kapil Dev. However, Pathan, who has seen Pandya since the latter's junior cricket days, feels that comparisons at best should be avoided. 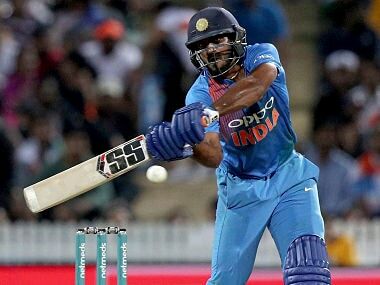 "I think he will be the first Hardik Pandya! Let's not compare him with anyone. Let's give him some time. Let's not push too much pressure on him. Let him play freely because that way growth is bound to happen," said Pathan. As the discussion veered towards his own career and the upcoming Ranji Trophy beginning next week, Pathan sounded optimistic than ever. "This is a very important season for me. I want to give my all. At the same time, the focus is on doing well for Baroda and take the team forward. That's my aim," he said. Pathan did not have a great time captaining Baroda last Ranji season where the team managed to win just two out of its eight games. His own performance wasn't great either as he averaged 22.44 with the bat and picked 11 wickets in six games at 41.54. Pathan insisted he will be a different player this time as he goes into the season with a much better frame of mind than last year. "I am in a much better space than last year. The pre-season training has been satisfying and I don't remember the last time I felt fitter. Baroda trainer took my YoYo test recently and I scored 16, which is pretty satisfying." Pathan also will not repeat the mistake of thinking too much ahead of time and is only focussed on doing the job for Baroda, who have not qualified for the Ranji knock-outs since 2012-13. "Because everytime you think too far ahead (of playing for India again), that is where the problem lies. If you stay in the present, other things take care of themselves. Your own expectations sometimes put you down. If something is going to happen in the future, it will happen no matter what," he said. "I am really happy with the way things are going, fitness wise as well as bowling and batting wise. I have also put a lot of effort on my fielding while preparing for the coming season. Most importantly, my mindset is very very clear. I want to do well for Baroda and other things will follow." Pathan has not played any competitive cricket in the last six months and featured in just one game in the IPL. With BCCI not allowing its cricketers to play in overseas leagues, Pathan spent a lot of time at home and trained even during the holy month of Ramzan. "What I did during Ramzan was train in the night at home, Just to keep my strength and muscles going. And after Eid, I started training outdoors," he said. "I always believe if you have smaller goals then you can actually work towards it, by staying focused. If you don't have any goal and you are playing for sake of playing then there is no point playing." But isn't it better if you are playing overseas when there is no cricket in India? "If you keep playing through out the year, it is good for players obviously. There is nothing wrong in it and it will be great if the BCCI allows its players to take part in foreign leagues," concluded Pathan.